Terrestrial concepts from prior paradigms are now dissolved and will not hold those attempting to attach to such. This includes such arenas as “environmental care”, oceanographics, planetary species “saving”, “dangers to the environment”… and many others. Current supported paradigm includes all dimensional levels of existence and thus, former 3D-only oriented paradigms are not useful, nor results-yielding. Energy harvesting from such 3D-only oriented paradigms is complete, and has served its purpose. Higher D “Blue Earth Star” harmonics resonate only with those aligned to such. Fissures in old paradigm concepts will not allow adherence. 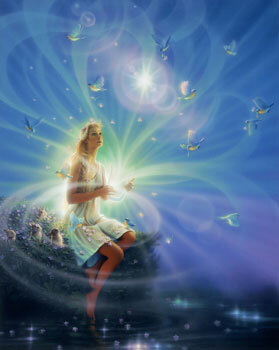 Alignment with Higher D “Blue Earth Star” harmonics is recommended for Hue-Beings at this moment.